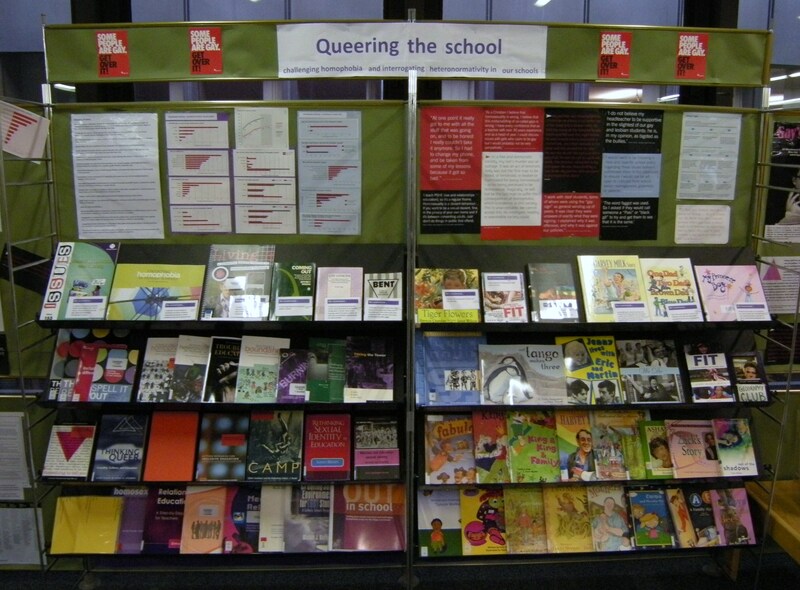 We are pleased to present our new library display, called ‘Queering the School: challenging homophobia and interrogating heteronormativity in our schools’. 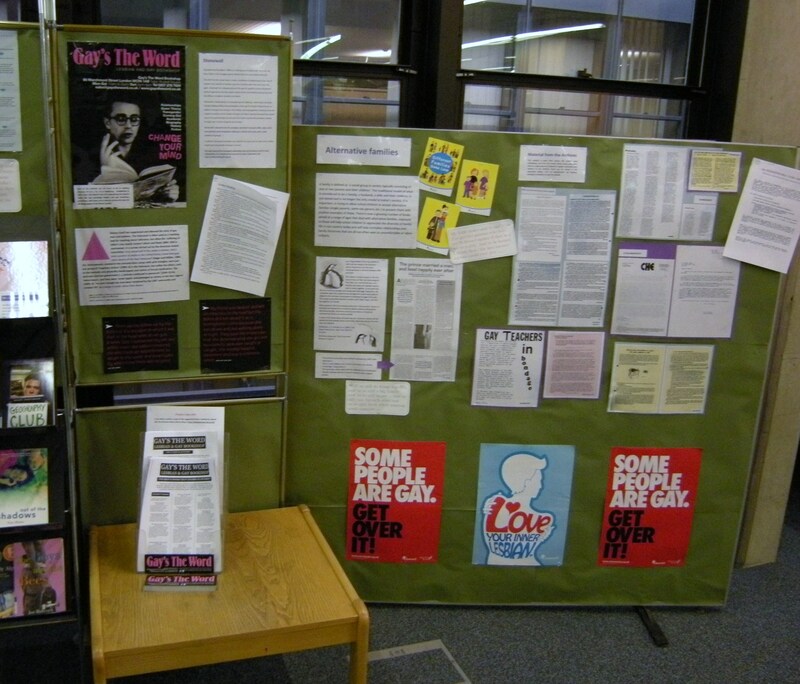 This display deals with homophobia, which since the repeal of Section 28 in 2003, many in the teaching profession still find difficult to approach and tackle. To aid this display, we have drawn on our own library collections to present a cross-section of material appropriate for tackling and enhancing discourse on this subject. We hope that this display will encourage our students, staff and visitors to think about the subjects raised and that it helps to illustrate the richness of the collections in the library and archives. Hopefully it might even help to inspire students to explore this avenue in their own research! To support the display we have produced a list of suggested further reading, which includes the material included in the display. A PDF of the reading list can be found here. There is also a PDF of the glossary of terms used. Your feedback, as always, is much appreciated. 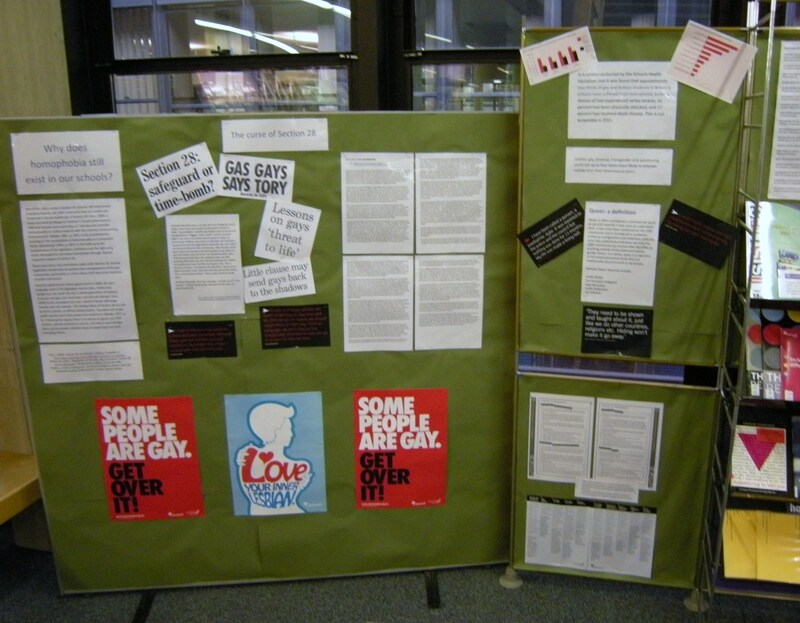 This entry was posted in Library and Archives and tagged displays, homophobia. Bookmark the permalink. This looks fantastic! I shall pass on the link to my teacher friends. A great introduction to my PGCE course! Day One and I find a display that speaks to my condition and helps me to think through this important aspect of life. I’d like to see it extended to cover transphobic issues (and, through Jay Stewart at Gendered Intelligence, I’ve seen it work well in a primary school).